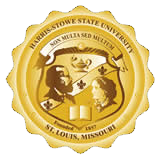 Following are the five areas of study comprising a student’s General Education foundation at Harris-Stowe State University. In each of these areas, the minimum number of credit hours required is given. *Either course in the natural sciences or the course in physical sciences must have the associated two semester credit-hour lab course.